This event occurred on October 11, 2018. The Next Generation Science Standards (NGSS) challenge teachers to think deeply about learning and teaching with the goal of developing a clear vision of science education that is coherent, focused, and rigorous. The Five Tools and Processes for Translating the NGSS are designed to help professional development leaders work with teachers on curriculum, instruction, and assessment as they achieve this vision. 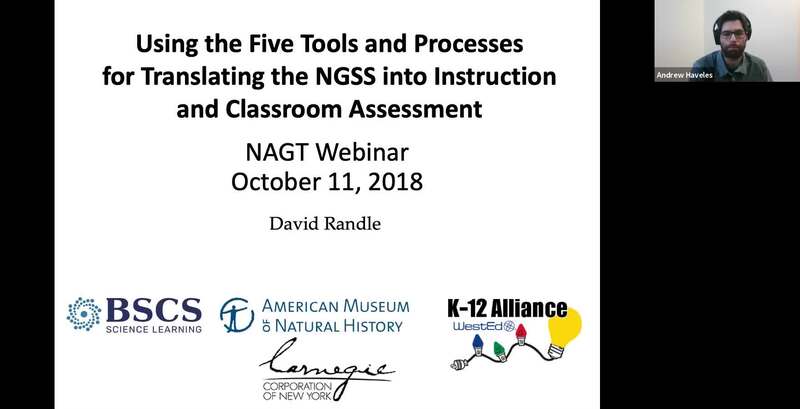 This webinar will introduce the Five Tools, describe how they have been used by teachers and curriculum developers, and highlight opportunities to learn more.